The Sunroof Centre Melbourne are constantly evaluating and investing in changing technologies and trends in the industry, hence using advanced and developed products. We offer a wide range of superb high resolution LCD Screens, multimedia DVD players, Digital TV Tuners. With a multitude of in-car theatre accessories to consider, The Sunroof Centre can tailor a package to suit your specifications. Whether you want to update your current system, or install a completely new state of the art in-car theatre, we have something to suit all needs, budgets and special requests. Professional service and quality products are a vital element to the success of The Sunroof Centre over the years and we look forward to further improving our business and serving many of the same clients which we have over the past 30 years. 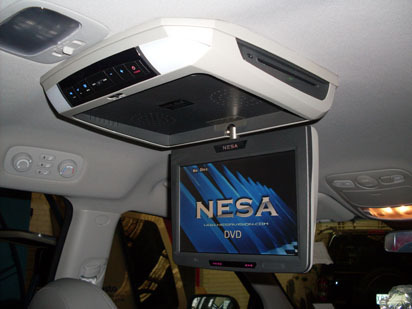 Call us for a quote or to discuss any queries regarding sunroofs and In Car Entertainment products on (03) 9706 6255.